When we talk about names on the rise, we almost always look at rank. The Top Ten names get a lot of press, as do names that have climbed dramatically in any given year. But lately I’ve been wondering about the raw numbers – the actual increase in newborns given a particular name – for a few reasons. First, it’s possible for a name to rise (or fall) in the rankings, despite fewer (or more) actual uses of the name. Second, a rise of two places doesn’t sound like much. But if that rise is the result of hundreds – or tens of hundreds – of births, then it might be significant. I’m also curious to know if a big gain in one year translates to a big gain the following year. Or do these tend to be isolated events? Or maybe they simply reflect the larger number of children born in the following year. There were more than 38,000 more children born in 2014 than in 2013 – are the increases in name usage proportionate with the new arrivals? There’s no way to know without tracking the numbers, so let’s take a look at the fastest rising names by count of actual births between 2013 and 2014. We’ll have 2015 data in May 2016, and I’ve made a note to revisit this post then! Olivia was given to 1,300 more girls in 2014 than in 2013. That’s a big gain, but it was easy to overlook. That’s because of our good friend, rank. Olivia went from #3 to #2, which isn’t such a big deal. 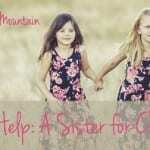 But looking back at 2013, the name posted a gain of over 1,000 additional newborn girls. If Olivia continues this momentum, it’s poised to become the #1 name in the US in 2015, even though my model for #1 girls’ names suggests that Olivia’s moment has passed. Harper was given to nearly 1,300 more girls in 2014 than 2013. That’s the third year in a row the literary surname name has leapt gazelle-like up the charts. It’s just one of the reasons why I’m confident Harper will enter the US Top Ten this year. Nora surprised me. I knew the name was on the upswing, but a gain of over 1,200 births? Then again, Nora was up more than thirty places in the rankings, so maybe this shouldn’t be a surprise. Nora is one of those perfect balance names: nickname-proof and frills-free, but still feminine. Serious enough for a surgeon, but approachable enough for a child. Stylish, but never trendy. It’s a can’t-miss name. Ariana – Ariana is another name that was given to more than 1,000 additional girls in 2014 than 2013. And yet this name’s true popularity is obscured, because Arianna – the double-n spelling is nearly as popular as the single n version. Evelyn – Again, Evelyn was given to more than 1,000 more newborns in 2014 than 2013 – a big jump. Evelyn appeals to parents who love tailored, vintage names, like Eleanor, but also those who find more modern favorites like Madelyn and Vivienne appealing. Could Evelyn be headed for the US Top Ten, too? The names stands at #16 currently – I think it’s a definite maybe. Everly – You know the name that lots of parents are choosing because they think it sounds different? But they’re all going to look up in five years at kindergarten orientation and say, “What? There’s another girl with the same name?” That’s Everly right now. It was given to more than 1,000 more girls in 2014 than 2013, and had a big gain in 2013, too, after ranking for the first time in 2012. Daleyza – The power of reality television, and Spanish-language celebrities crystalized with the rise of Daleyza. Sometimes names that make headlines fade quickly. (I’m looking at you, Miley.) Other times, they enter our list of possibilities and we forget that they weren’t always options. It’s impossible to say which one Daleyza will be just yet, but with nearly 1,000 additional newborns and a gain of more than 350 spots in the rankings last year, this name still has some power. And I think it sounds like the kind of name that parents – especially bilingual English-Spanish parents – are drawn to today. Skylar – Here’s one that surprised me: Skylar was given to nearly 1,000 more girls in 2014 than 2013. It’s a name nerd problem – I often think that names feel obvious and expected when non-name nerds are still discovering them. That must be the case with Skylar, a mix of unisex surname name and nature name. Scarlett – Colorful and bold, but with claims to vintage status, because, hello … wasn’t Gone with the Wind made in 1940? Red is the color we love for our daughters’ names nowadays, and with Scarlett Johansson still very much in the spotlight, no surprise that more than 900 additional girls were named Scarlett in 2014 than 2013. Paisley – As colorful as Scarlett, as much as surname name as Harper, Paisley was unheard of before the twenty-first century. Now it’s a Top 100 staple, and a name that could rival Aubrey for the title of the new Ashley-Hailey-Kaylee name. Almost 900 more girls were given the name in 2014 than in 2013. Hazel – Back when Julia Roberts gave this name to her daughter in 2004 it was barely out of old lady territory. A decade later, Emily Blunt used the name for her little girl – and was praised for the sweetly vintage choice. More than 800 additional girls were named Hazel in 2014 than 2013. Annabelle – Gabrielle and Isabelle paved the way for antique Annabelle’s resurgence. 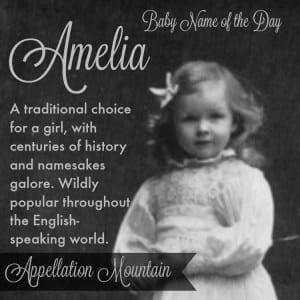 Originally based on a French saint’s name meaning lovable, the name has morphed from Amabel to Annabel to the current favorite, which feels a little bit like an Anna-Belle smoosh name. Nearly 800 more girls were named Annabelle in 2014 than 2013. Aria – A mix of Pretty Little Liars and Game of Thrones took this musical name from rarity to mainstream favorite. It seems to have appeal that goes beyond its pop culture origins, though. Aria also crosses cultures, since it has separate Sanskrit roots. And it’s quite close to long-time favorite, and fellow fast-riser, Ariana. Nearly 800 more girls were named Aria in 2014 than 2013. Penelope – Right behind Aria, also given to nearly 800 more girls in 2014 than 2013, is the mythological Penelope. A long name with nicknames galore, Penelope isn’t so unwieldy in an age of Olivia and Isabella. It also owes something to the success of other Greek ends-with-e names like Chloe and Zoe, as well as celebrity parents who have chosen this name, from Tina Fey to Kourtney Kardashian. Charlotte – Charlotte made headlines last May, when Will and Kate gave it to their newest royal. Just a few days later, we learned that Charlotte had cracked the US Top Ten. While the US data reflects babies named well before the birth of the princess, it’s easy to imagine that Princess Charlotte Elizabeth Diana’s name will prove influential. More than 700 more girls were named Charlotte in 2014 than 2013. Will the rise continue? Victoria – Speaking of royal names, it doesn’t get much more regal than Victoria. (Which is funny, because it wasn’t her parents first choice. They wanted something more appropriate to a potential heir to the throne, but since the princess was fairly far down in the line of succession, they were discouraged.) Victoria was given to more than 700 additional girls in 2014 than 2013. One of the things fueling Victoria’s rise? It’s a favorite with Spanish-speaking families, and an easy crossover name. Amelia – Vintage Amelia isn’t slowing down. A Top 100 choice in the nineteenth century, the name has found new heights in the twenty-first century, reaching #15 in 2014. With more than 700 additional girls given the name in 2014 than 2013, it’s worth asking if that’s a gain that will continue. Eleanor – There’s something classic about Eleanor, but classic names are subject to trends, too. With more than 700 additional girls given the name in 2014, it’s safe to say that Eleanor is a name on its way up. Ellie – Plenty of parents are choosing to skip the formal name for their children, and names like Ellie rising in use are the result. There were nearly 700 more Ellies in 2014 than 2013. Twenty years ago, Ellie had just re-entered the Top 1000. Today, it’s a Top 100 favorite. And Ellie is even more common, as plenty of girls named Eleanor and Elizabeth may well choose this as their preferred nickname. Adalynn – Every now and again, a name starts to catch on – but parents aren’t sure how to spell it. Sometimes it’s a contest between two spellings, like Zoe and Zoey. Other times, there are multiple options, like Caitlin, Katelyn, Kaitlyn, Caitlyn, and … you get the idea. Adalynn is the latter – Adelyn, Adeline, Adelynn, Adalynn, and Adalyn are all in the current US Top 1000. With more than 600 additional girls given the Adalynn spelling in 2014, it’s currently the most popular. Piper – Piper owes something to Aria, something to Harper, and a whole lot to Netflix original series Orange is the New Black. With more than 650 additional girls given the name in 2014 than 2013, it looks like Piper is catching on. Aurora – A mythological name with ties to the night sky and a Disney princess, Aurora combines a frilly, fairytale sensibility with built-in boyish nickname, Rory. Almost 600 more Auroras were welcomed in 2014 than 2013. Could it signal the dawn of a new favorite name? Luna – Another name with a celestial meaning, Luna is a favorite with Spanish-speaking families. It’s also a Harry Potter heroine name, and has that great ‘u’ sound shared by Lucy and Ruby. Luna was used sparingly in the late nineteenth and early twentieth centuries, but it’s skyrocketed over the last few years. 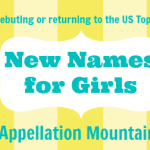 No surprise that more than 500 more girls were given the name in 2014 than 2013. 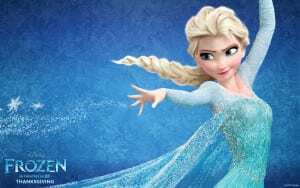 Elsa – The second Disney princess name to make the list is Frozen’s icy queen Elsa. A simplified form of Elizabeth used in northern Europe, Elsa isn’t new – but the name’s rise through the rankings has been steep. More than 500 newborn girls were given the name in 2014 than 2013. And yet, here’s where the raw numbers make things interesting. A rise of nearly 250 spots in the rankings makes Elsa one of the Top Ten fastest gaining names in 2014 – but raw numbers put this name much farther down on the list. Nova – Nova is literally the Latin word for new. It’s long been associated with science, thanks to the PBS series. The name owes its success to our affection for choices like Ava, as well as celestial picks like Luna. More than 500 more girls were given the name in 2014 than 2013. Are any of the fastest rising names for girls on your shortlist? Do any of these surprise you? Interesting list! Some were surprising, some not so much. I find it’s still so hard to predict what the top names will be in 2026 because the top ten typically seems to be a mix of fast-risers and slow-and-steady climbers. I’d have predicted Vivian/Vivienne to become more popular than Evelyn, but it seems Americans really love that -lyn ending so maybe that’s part of the attraction. Take a look at the top names for individual states. Nora and Evelyn and Amelia are both more popular in certain states than others, like Minnesota. The male equivalents are Henry and Oliver. I would predict a rise for all of those names, particularly in upscale urban areas with young professionals. I also have a few former classmates with girls called Adalynn. Just from personal experience, I’m hearing a lot about some of these names. Annabelle, Amelia, Charlotte and Penelope all were used very recently by acquaintances and family. 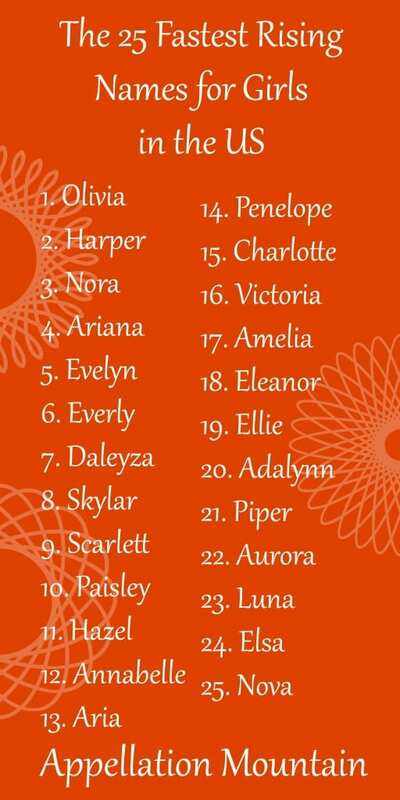 I’m also happy that my top favorite girls names do not make this list. I’d like if they’d be a little less discovered. Oh good point, Leigho – and villains boost names as much as heroes!